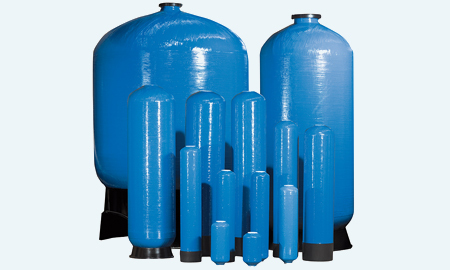 are suitable both for drinking and industrial use water treatment systems. They are certified for contact with drinking water in accordance with EC and KTW directives and comply with European Directive 97/23/EC for pressure vessels (PED) and M. Decree 174 dated 06/04/2004 for materials suitable for contact with water intended for human consumption. High performance and built with a composite material with PE-coated glass fibre and epoxy resin liners, they are equipped with diffusers and related accessories and are ideal for both domestic and industrial applications, with a 5-year warranty. Exclusive distribution for Europe, Russia and Turkey.